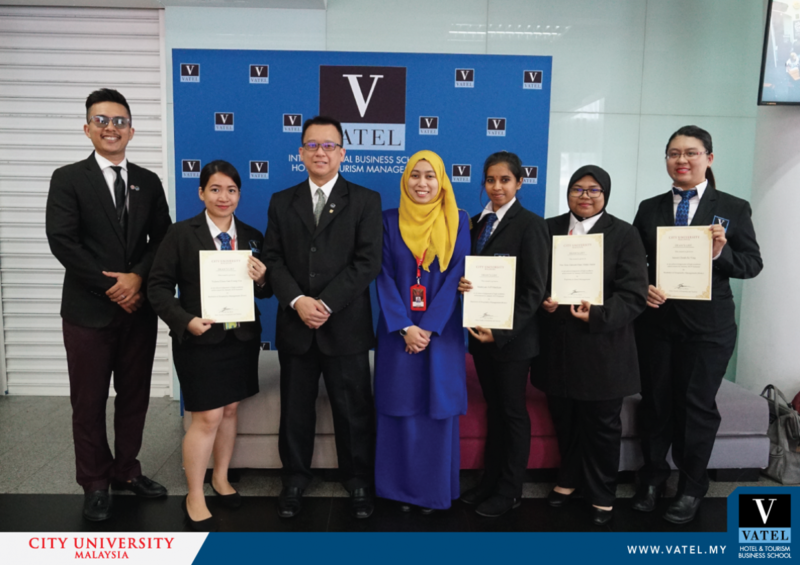 On June 12th, 2018, a total of 12 students from the Vatel Kuala Lumpur were honoured with the Dean's List Award. All 12 students are pursuing the Bachelor in International Hotel Management programme. 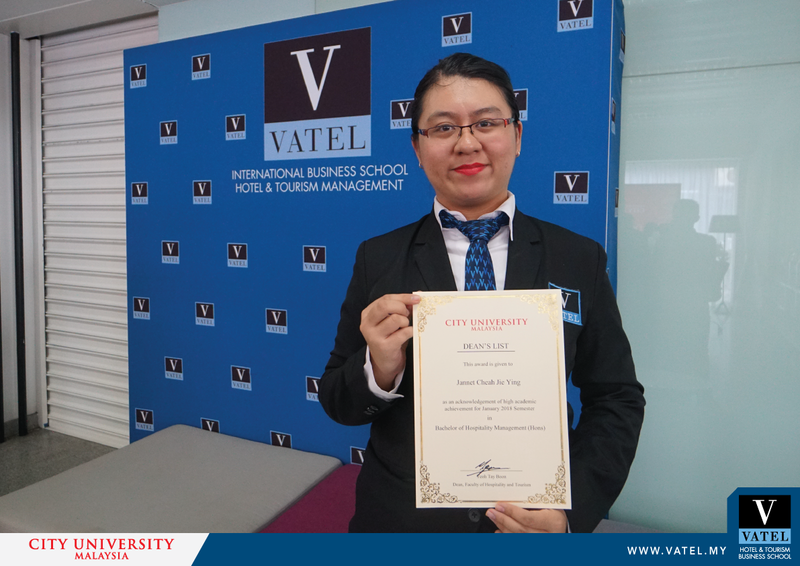 The ceremony took place at Vatel Kuala Lumpur, which is located at City University Malaysia, Petaling Jaya. The Dean's List Award is an academic award to recognize students with high academic achievement for the particular semester. This award is a personal testament of education excellence by the students. It is also a proud moment for their parents to see recognition for the student’s hard work and dedication to studies. It is hoped that this award will spur the students to perform better in the coming academic semester. We wish all our students a hearty CONGRATULATIONS and hope they will continue to persevere for greater success in the coming semesters.